Restorative dentistry is the branch of dentistry which deals with the concept of restoration of the diseased hard tissues and soft tissues surrounding and bringing them back to their original physical form and function. Restorative Dentistry deals with Endodontics, Periodontics and Prosthodontics which includes Implantology and the the interaction between these 3 branches of dentistry to treat diseases of the oral cavity, the teeth and their supporting structures. Restorative dentistry essentially strives to maintain functional and esthetic ability of the Oral cavity, teeth and their supporting structures. Normal anatomy of Oral Cavity: It is the study of the normal anatomy of the oral cavity which involve the Alveolar Process, Lips and cheeks, Tongue, Floor of the mouth, hard palate, soft palate pharynx, Teeth (primary and permanent dentition, Pulp, gingival, Periodontal tissue, Cementum, Alveolar bone. Restorative dentistry is the use of implementing 3 different branches of dentistry to treat cases which are affecting the teeth and its supporting structures. Periodontal Treatment plans like Scaling and Curettage for treating Periodontal diseases, along with the use of Guided tissue Regeneration and Bone grafts to fill in the bony defects and use of various other surgical techniques to treat the supporting structures of tooth and the alveolar bone to maintain the normal anatomy and function of tooth and tissues. Endodontic treatment plans include Simple restorations like Amalgam, Gic, Composite restorations, Complex restorations like Cast metal restorations, Gold restorations etc, Root canal therapy, Bleaching, Veneering and Composite buildup in Fracture cases. 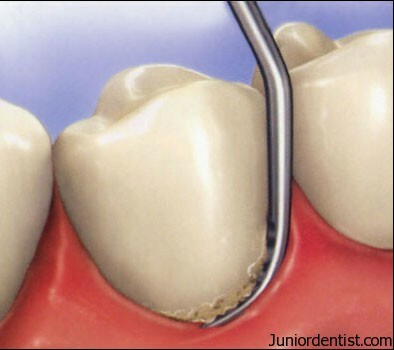 Various other procedures like Pulpotomy, Pulpectomy are performed to restore the teeth. 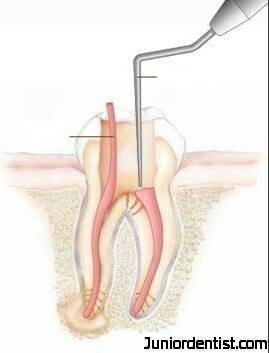 Post and Core therapy is a combined treatment plan of Endodontic root canal therapy and Prosthodontic therapy. 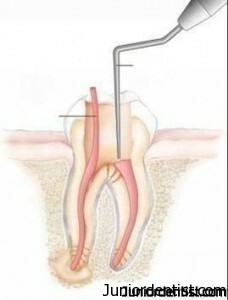 In Post and Core therapy firstly there will be Endodontic Root canal therapy after which there is Prosthodontic involvement with the use of a Post and Core and the placement of a crown. Post and core is done in teeth where the crown is missing. Restorative dentistry starts with Prevention of damage to the tooth which is its fundamental aspect of restorative care and later also deals with minor restorative procedures like Dental fillings etc and then when the involvement is more like in case of Irreversible pulpitis or Tooth Fracture which involves the root, need for Endodontic care is necessary and immediate after which a Temporary and Permanent crown have to be placed which show you the relationship between the various branches of dentistry for restorative purposes. Restorative dentistry has evolved with many modern discoveries in Dentistry the use of Implants for replacement of missing teeth without affecting the adjacent teeth is a very helpful restorative technique used these days. The use of lasers is also becoming very popular in restorative dentistry due to its non invasive and fast healing process which makes it easy to use for the dentist and satisfies the patient as well. Restoration of the lost tooth structure has always been a very important part of dentistry, there have been many techniques and materials used some invasive and the modern ones which are totally non invasive and do not affect the adjacent tooth structures. Bridges are a very useful part of treatment where the adjacent tooth is trimmed and taken support of, but these days with the advancement of Implant Dentistry the problem of clinically altering the adjacent tooth is avoided with a implant which can support itself. With the help of many modern day diagnostic techniques treatment and diagnostic products, planning was never easier. Hence Restorative dentistry is a very integral part of a General dental practice which helps in diagnosis and maintaining a proper treatment plan with the help of various branches of dentistry combined together. Hi May I know your full name? Only Varun? and the name of this journal?. There are several Varun in the internet. I would like to mention your name in my thesis as reference. thank you. My Full name is “Varun Pandula”. Thank you for the reference. Appretiate it.